These adaptations are for clothing that you own and send to us. 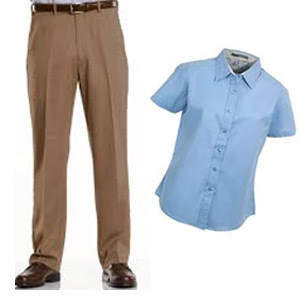 Our shirts and blouses have Velcro® closures down the front and on the cuffs (if applicable). The buttons are sewn on so that the shirt/blouse looks like a normal buttoned shirt/blouse. ** We do not change the neck button as most people do not button the top button. Please let us know if you WANT the neck button Velcro® in the “notes to seller” on the checkout page. 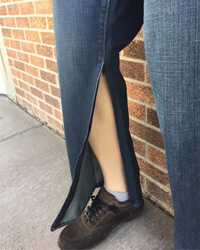 Our pants, slacks, shorts, jeans and skirts are adapted by removing the zipper and replacing it with Velcro® and the button or snap is replaced. The fly or zipper area looks as it did before adaptation. After trying to figure out how to replace zippers with velco on my own…and failing…I found Karen and the Coverup Shop. What a godsend! First and foremost…she knows what she is doing. Great quality. Colors matched. No one can tell the difference. 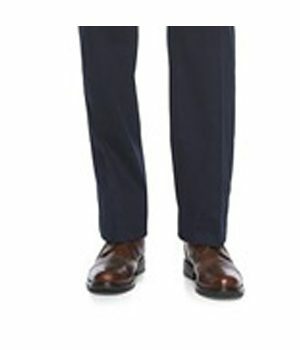 Third…quick service, sent 5 pair of pants, got them right back altered. Liked them so I sent 3 more…and the same speedy response. Coverup Shop is a blessing for vets, but I’m just an old guy whose fingers don’t work anymore. Thanks Karen for the great pants and the confidence that goes with them.